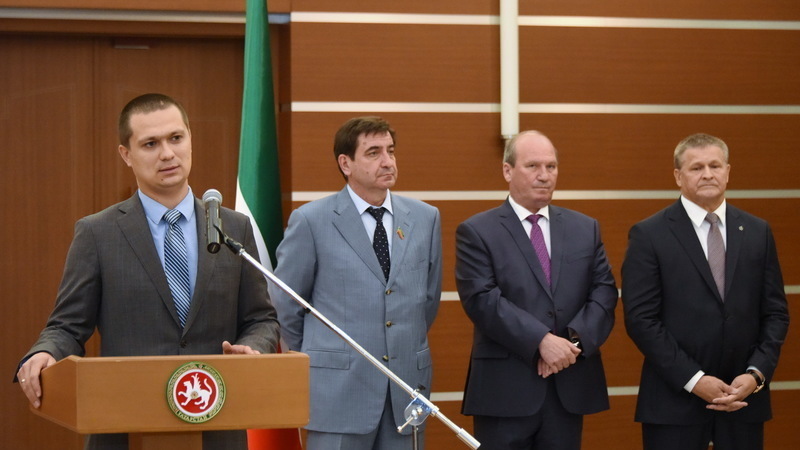 On June 4, 2018, Minister of Justice of the Republic of Tatarstan Rustem Zagidullin took part in the solemn ceremony of handing certificates to the justices of the peace of the Republic of Tatarstan. The ceremony was opened by the Deputy Chairman of the State Council of the Republic of Tatarstan Yuri Kamaltynov and presented certificates to 12 justices of the peace, representing various judicial areas of the republic. The ceremony was also attended by Chairman of the Supreme Court of the Republic of Tatarstan Ilgiz Gilazov, Head of the Department of the Ministry of Justice of the Russian Federation for the Republic of Tatarstan Viktor Demidov, Head of the Department of the Judicial Department in the Republic of Tatarstan Zyavdat Salikhov, Deputy Chairman of the Supreme Court of the Republic of Tatarstan Roman Gafarov, deputies of the State Council of the Republic of Tatarstan and invited. Minister of Justice of the Republic of Tatarstan Rustem Zagidullin, in his welcoming remarks, noted that the overwhelming majority of cases of courts of general jurisdiction are considered by justices of the peace. In 2017, this figure reached almost 80 percent. «You are the primary link in the judicial system, it is simply impossible to overestimate the importance of the work of justices of the peace. It is from your professionalism and moral approach to work that the image of the entire judicial system and public authorities depend», the minister stressed and noted that the Institute of world refereeing faces new goals and tasks that can be solved through joint work. The justices of the peace, who received the certificates, expressed their wishes to be principled in protecting the rights and legitimate interests of citizens, restoring justice and legality, as well as impartiality in work and strict compliance with the law.